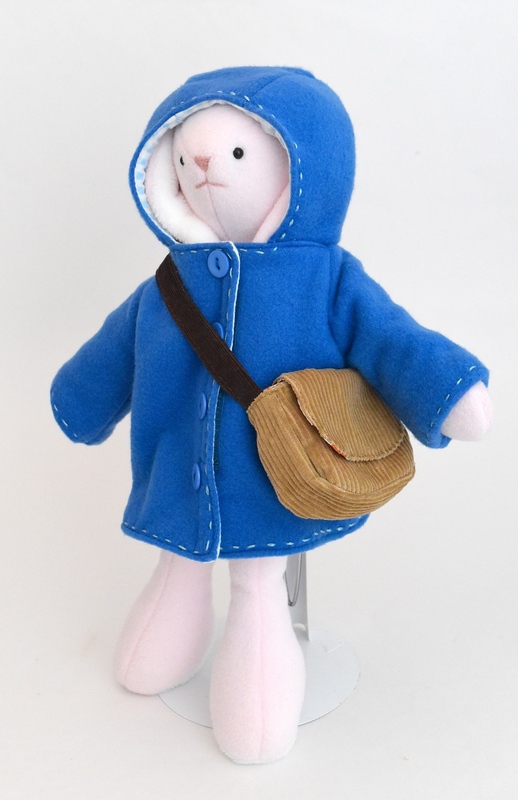 Welcome back for the second part of the Bunny Coat tutorial! 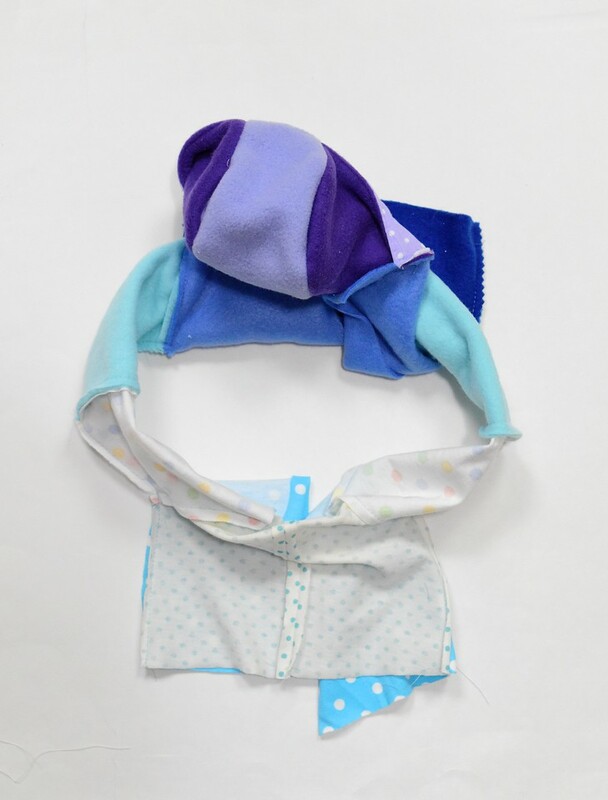 In Part One, we learned to sew two versions of the hood - the simpler version without ear openings and the more twisty-turny version with. 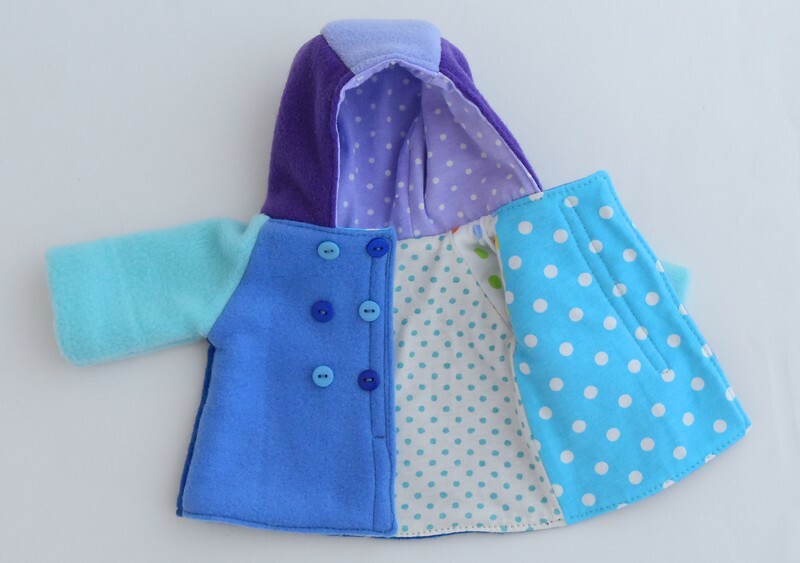 In this second part, we're putting the rest of the coat together. It's a fully-lined coat without any exposed seam allowances, and in order to achieve that, we'll be constructing this coat using a completely different sequence than you might be used to when putting a typical sleeved garment together. There'll be some inside-out twisty-turny stuff happening, so it'll be a fun ride! 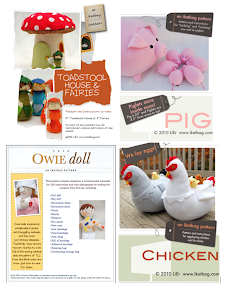 Please be reminded that this tutorial is meant for non-commercial use only. 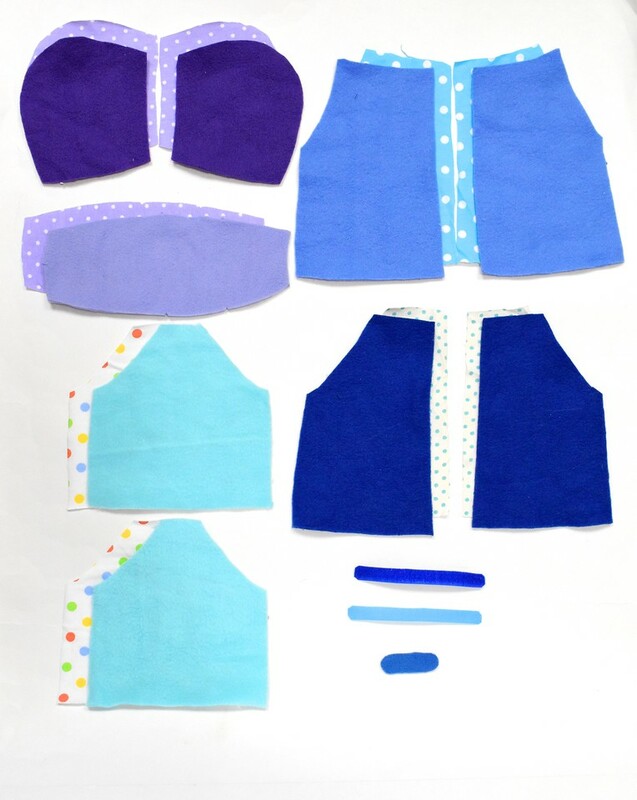 Here are those outer and lining pieces superimposed over each other so you can see the corresponding matches. Make sure that you have all the pieces cut out (with relevant SA!) 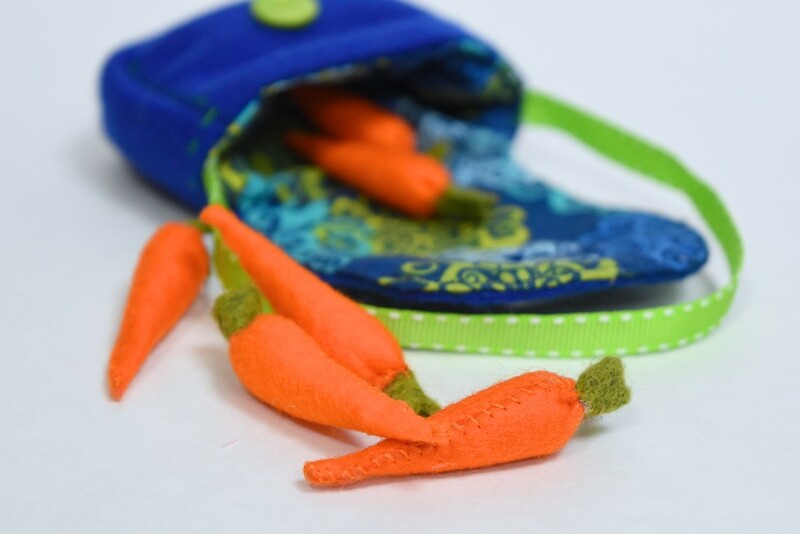 before you begin sewing. We want a rolled cuff effect for the sleeves so that the lining doesn't peek out. 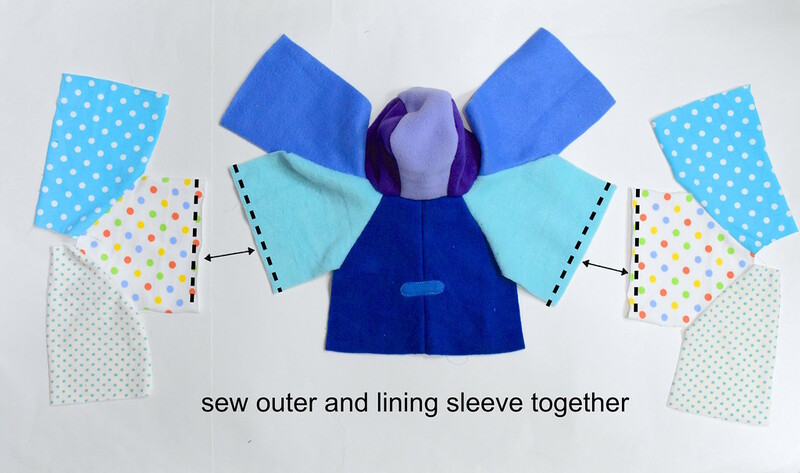 To achieve this, we're simply going to make the sleeve lining shorter than the outer sleeve. 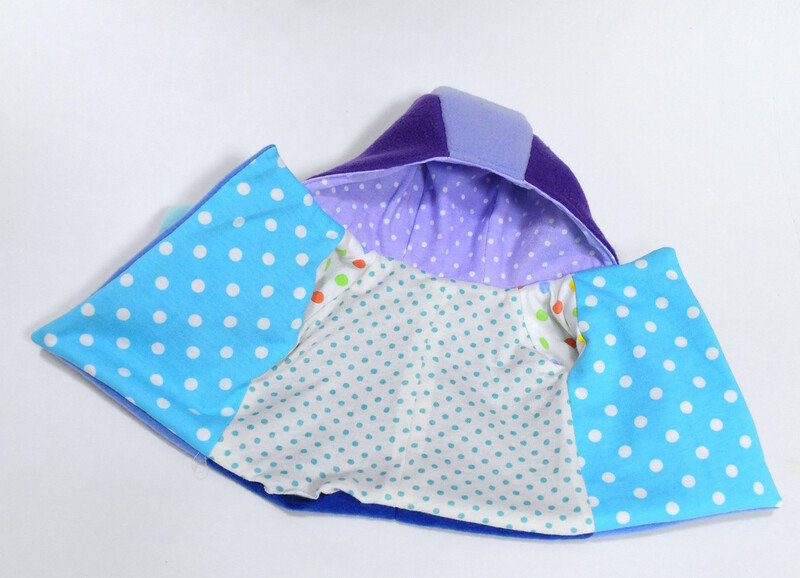 Principle: when sewn together, the outer sleeve's extra fabric will fold over the sleeve lining's hem. Easy. Cut off 1/2" of the straight edge of the sleeve LINING. 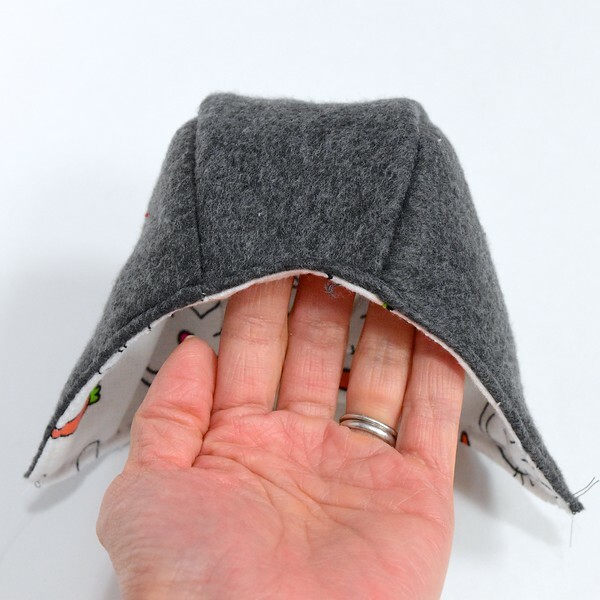 Leave the outer sleeve as is - the extra length needed to roll over the lining layer into a cuff has already been added into the template. 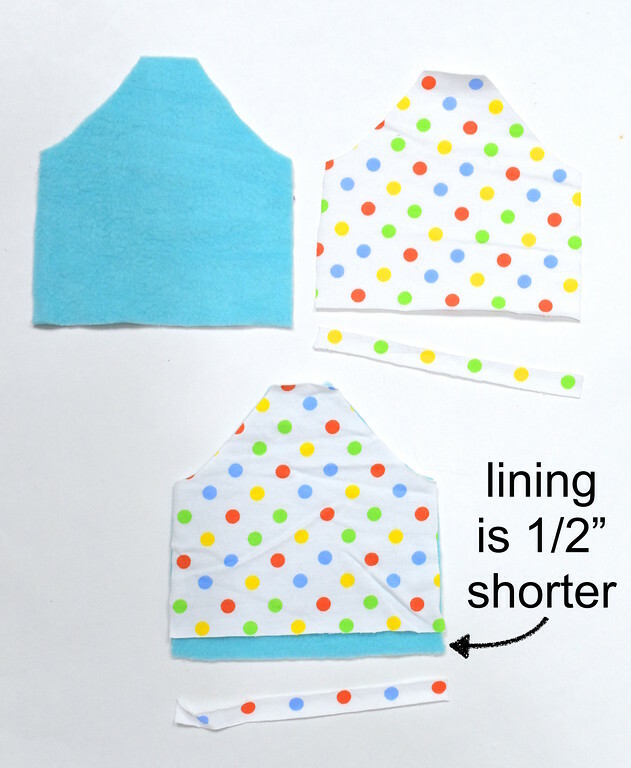 Do this for both sleeve lining pieces. 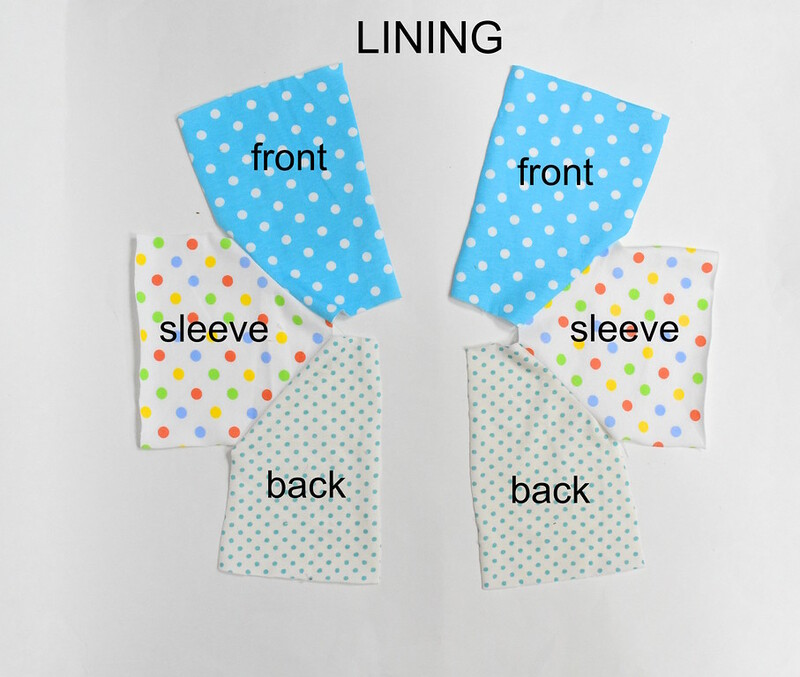 You'll now have two pairs of outer-lining sleeves, in which the lining pieces are 1/2" shorter than the outer pieces. 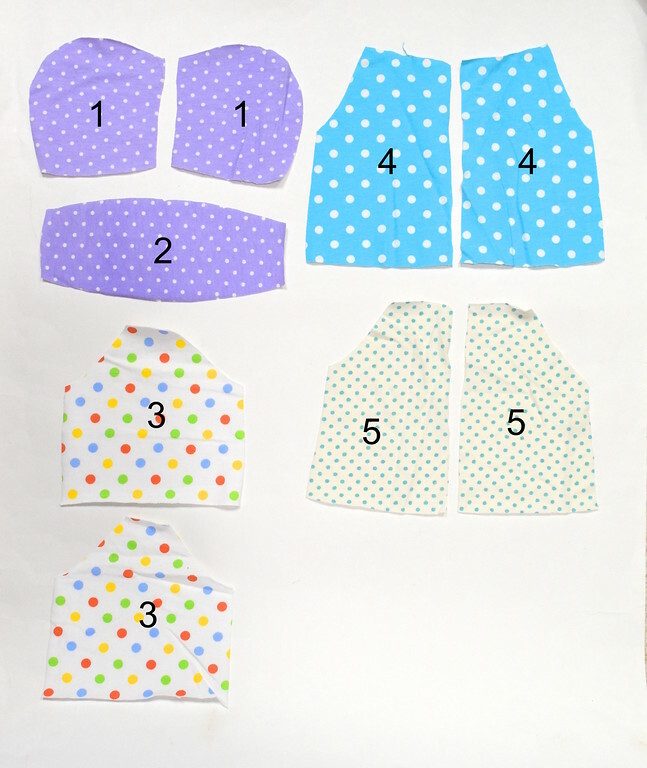 We're going to join the sleeves to the front and back pieces along their raglan lines DE. 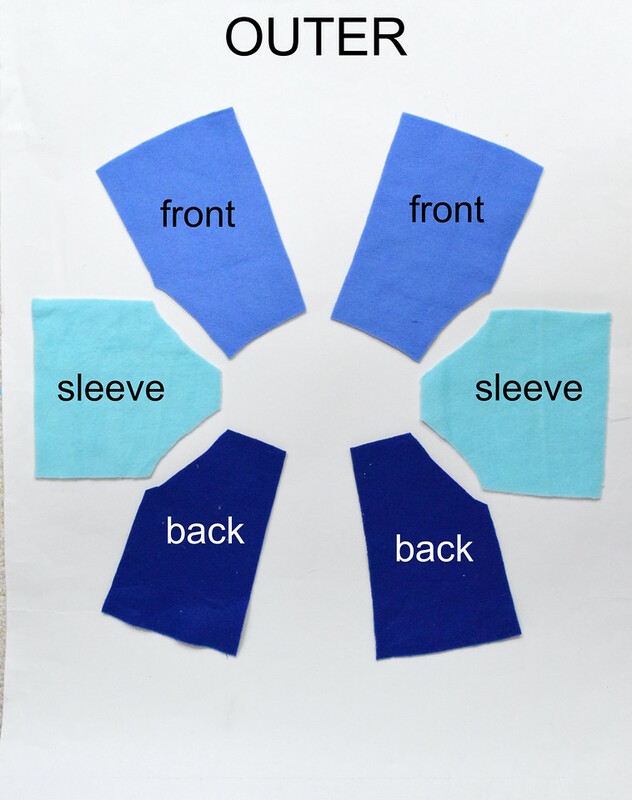 Note that the sleeve is symmetrical, without distinct front or back halves so both raglan lines are labeled the same: DE. 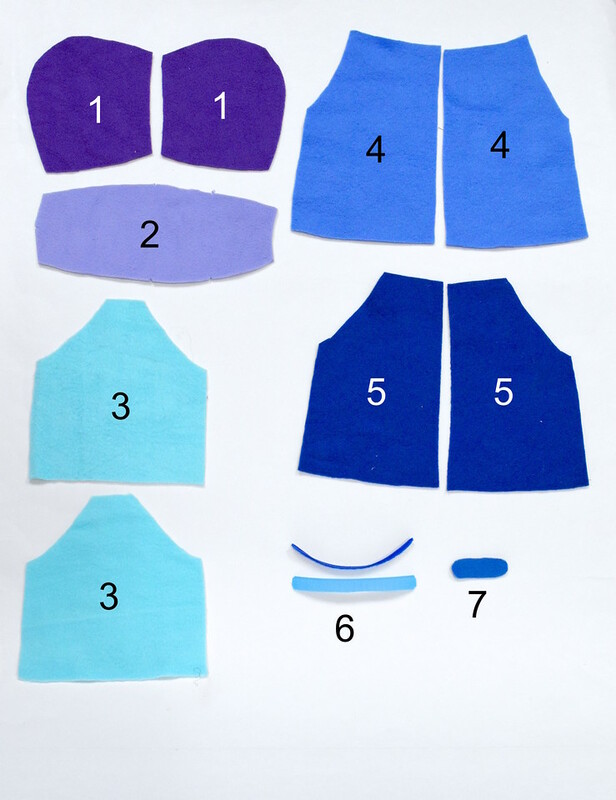 Similarly, the raglan lines on the coat front and coat back are also both labeled DE, so that you can join either of the sleeve's raglan lines to the coat front or coat back. You must NOT join the coat front to the coat back directly along the line DE. So, with RS together, sew one sleeve to the coat front along DE. Then sew the other line DE of the same sleeve to the coat back. Repeat (in mirror image) with the second sleeve, sewing it to the second coat front and coat back pieces. 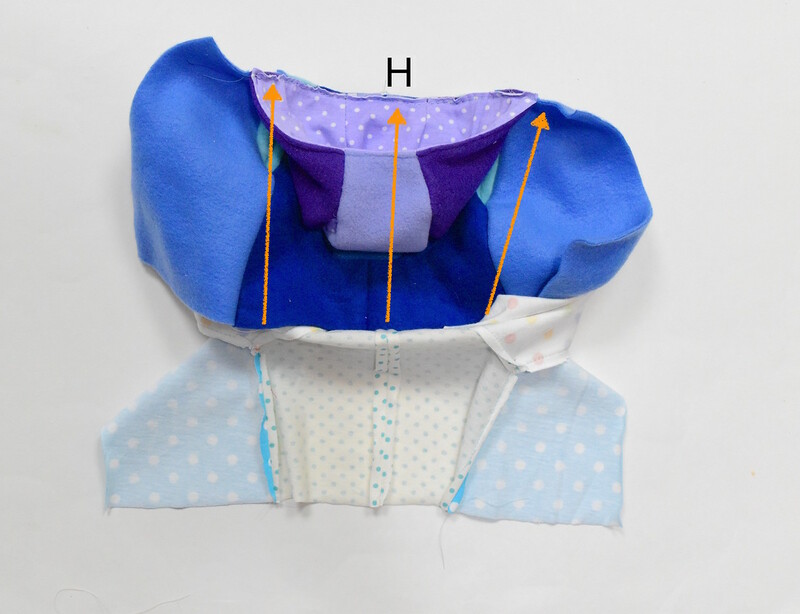 Finally, with RS together, sew the long straight sides HJ of the coat back pieces together to form the center back seam. 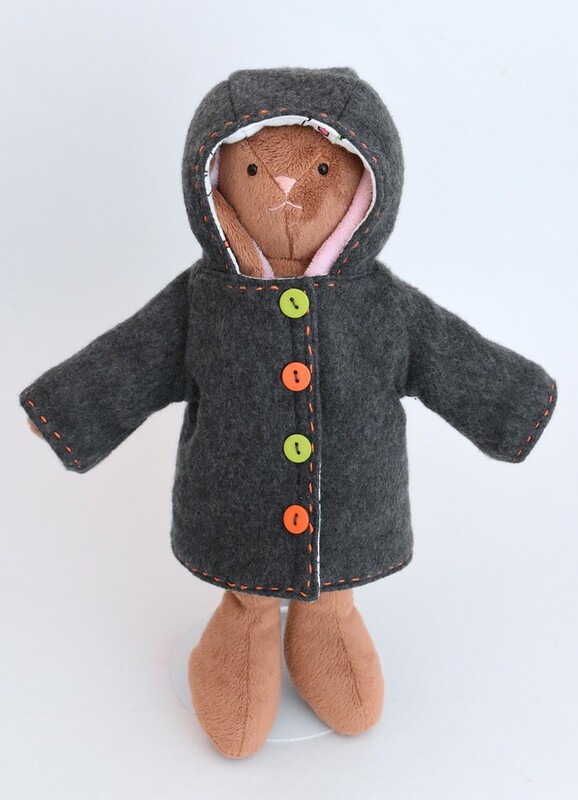 When finished, your outer coat body should look like the photo below. 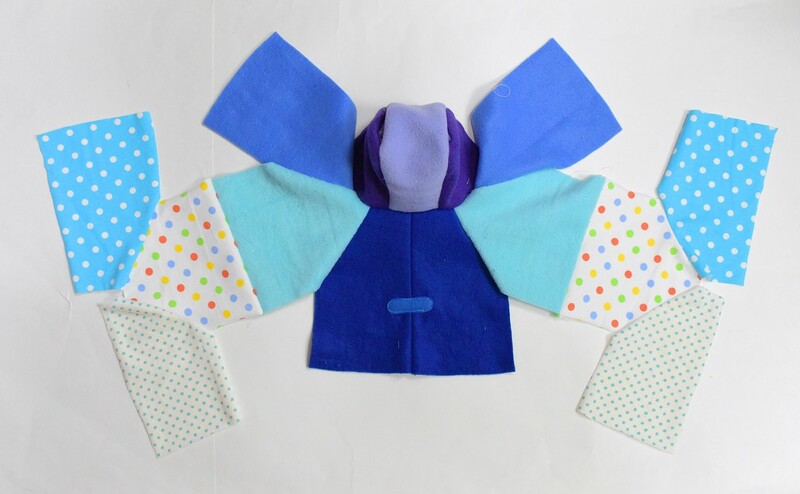 At this point, you can also sew on the back Button Strip. I simply edge-stitched it on across the center back seam. Set this aside until Step 4. Repeat Step 2 with the six body lining pieces, but do NOT join the back pieces along their center back seam. See the gap between the back pieces? 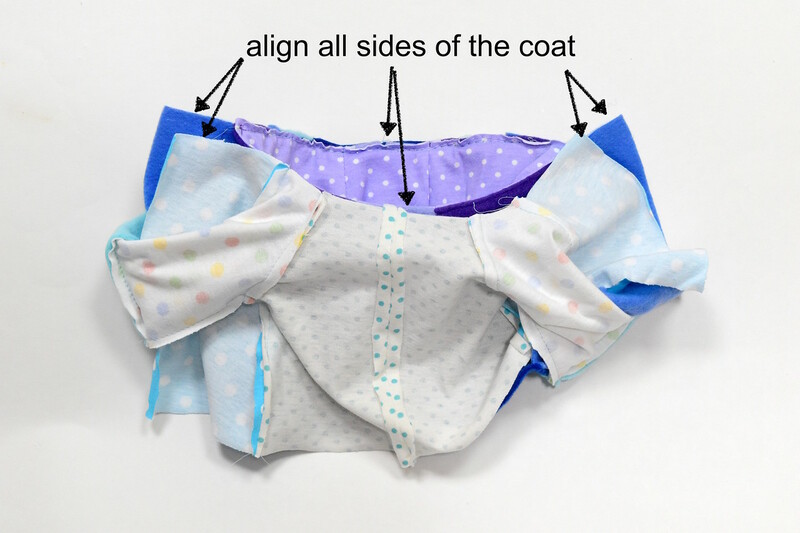 The two halves of the coat body lining need to remain separate. Set aside until Step 5. 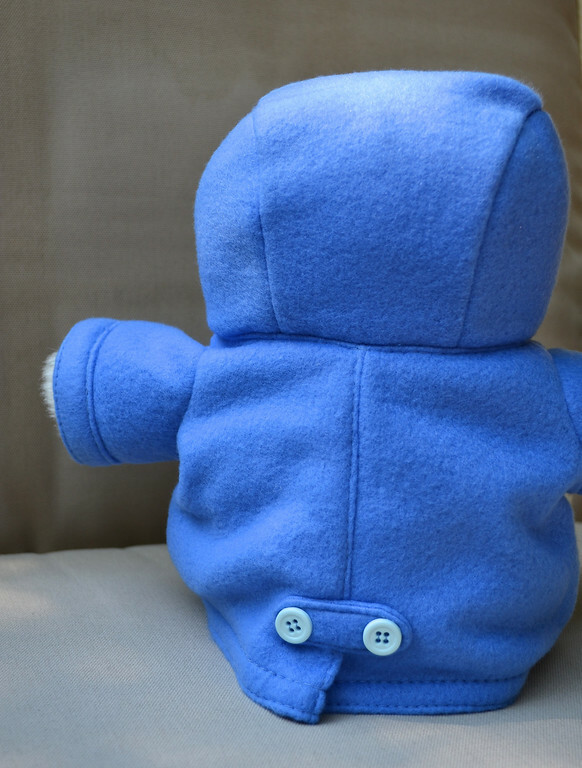 Step 4: Attach the hood to the outer coat body. without ear openings or with. 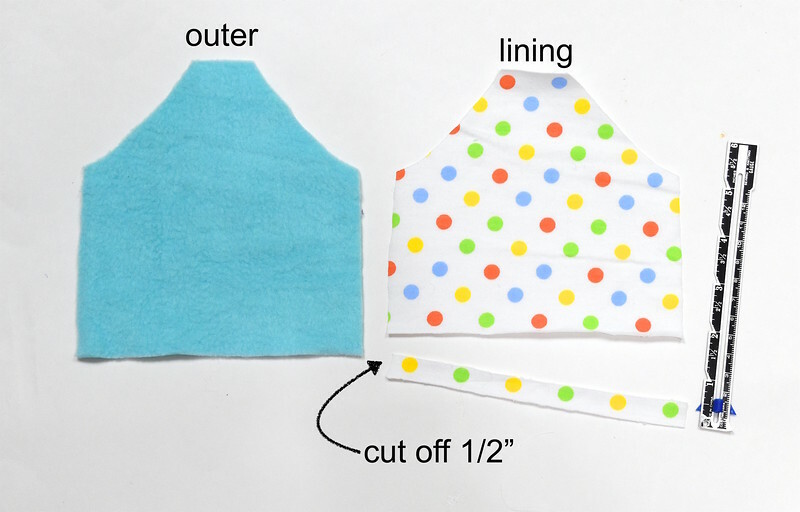 the corners C of the hood match up with points C along the neckline (depending on how stretchy your fabric is and how precise you were with the SAs while sewing the hood, these C points may not exactly match up, which is okay. 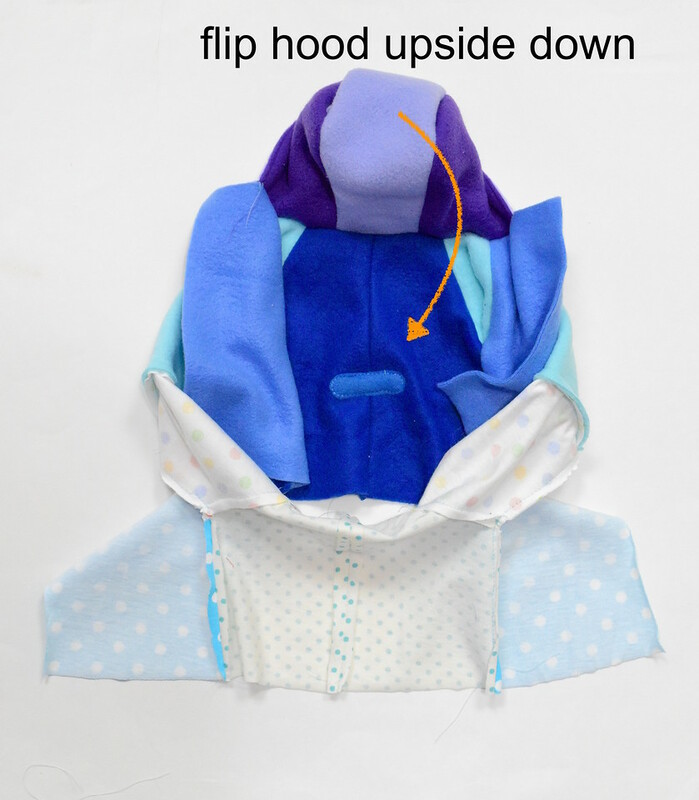 More important is that the hood be centered along the neckline, so make sure that at the very least the H points match up). Baste the SA of the hood to the SA of the neckline. 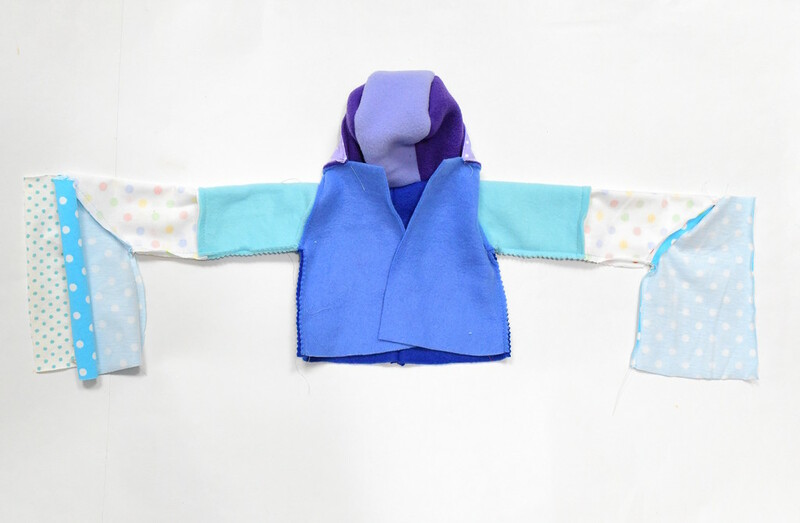 Flip and lay the lining pieces on the outer coat so that their RS together and all the corresponding parts in each layer match up (coat front-to-coat front, coat back-to-coat back, sleeve-to-sleeve). Sew along the straight edge of both sleeves as shown. This crazy looking thing is what you'll have now. 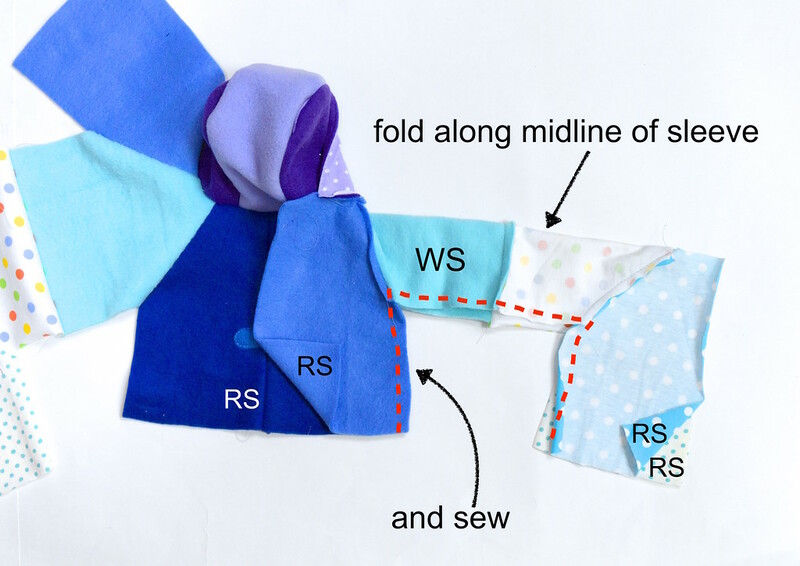 With RS together, now fold the sleeves along their midline. 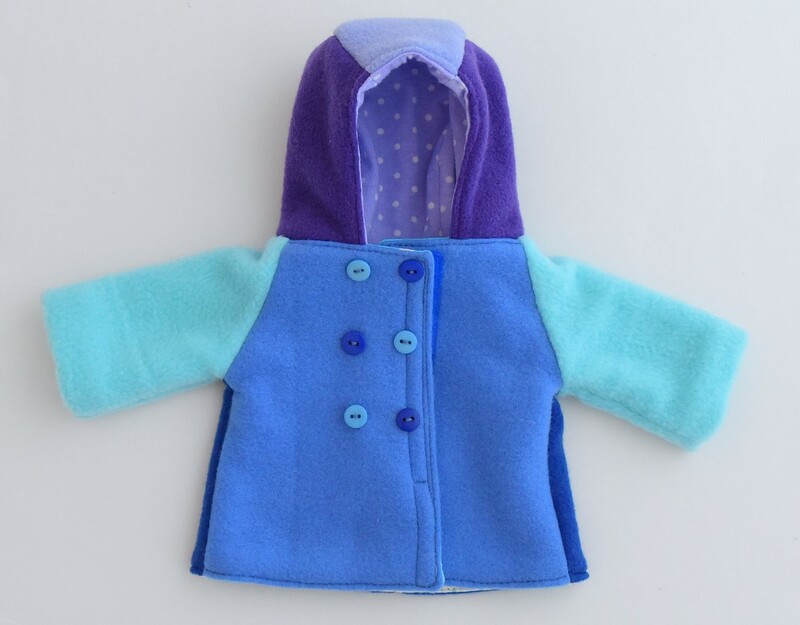 In the process, bring together the outer coat front and back pieces, and (separately) the coat front and back lining pieces. 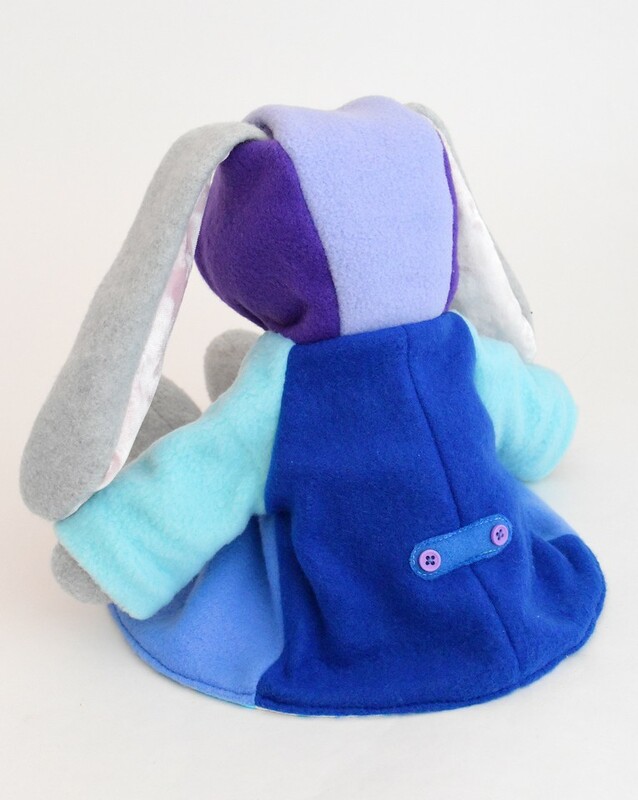 We're going to sew the side seam of the outer coat and coat lining, and the sleeve seam. 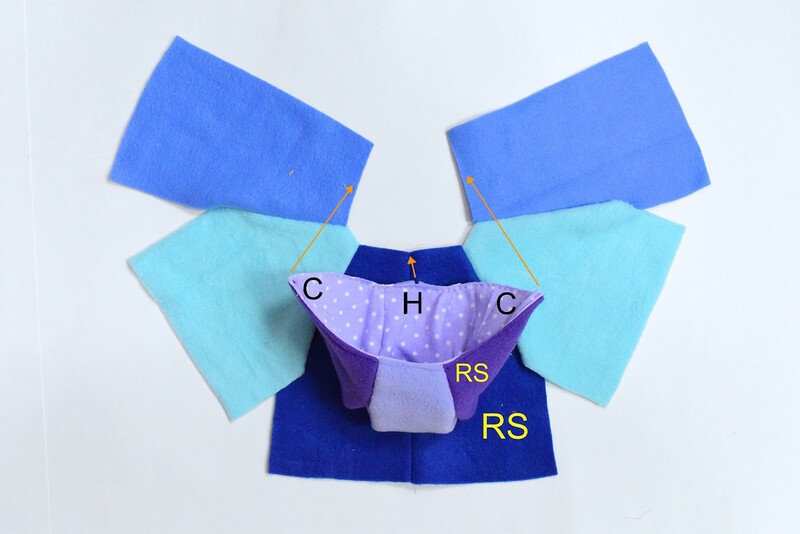 With RS together, sew from point G of the outer coat to the armpit E, then along the sleeve through their connection point F, to the armpit E of the lining and down to G of the lining. Repeat Step 6 with the other sleeve to get this. 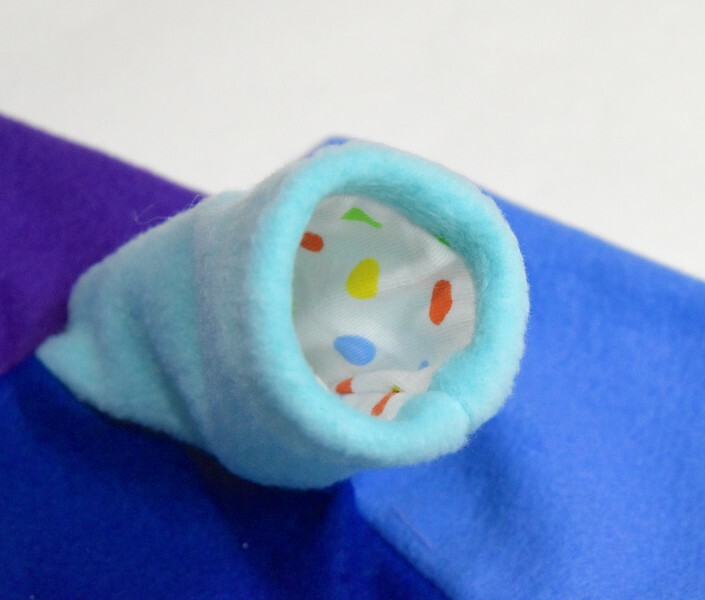 Now the side seams of both outer and lining layers are sewn, the sleeve layers are connected at the cuff, and the sleeves themselves are completed. 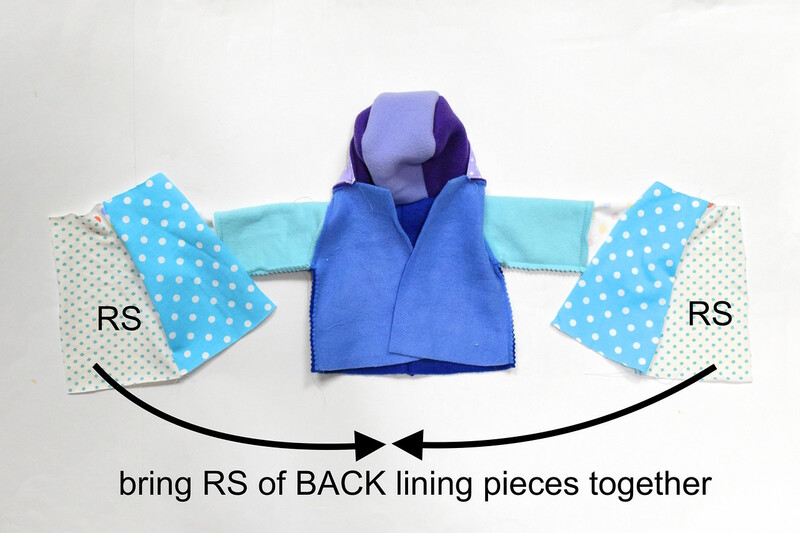 Separate the lining coat body layers to expose the RS of the back pieces. 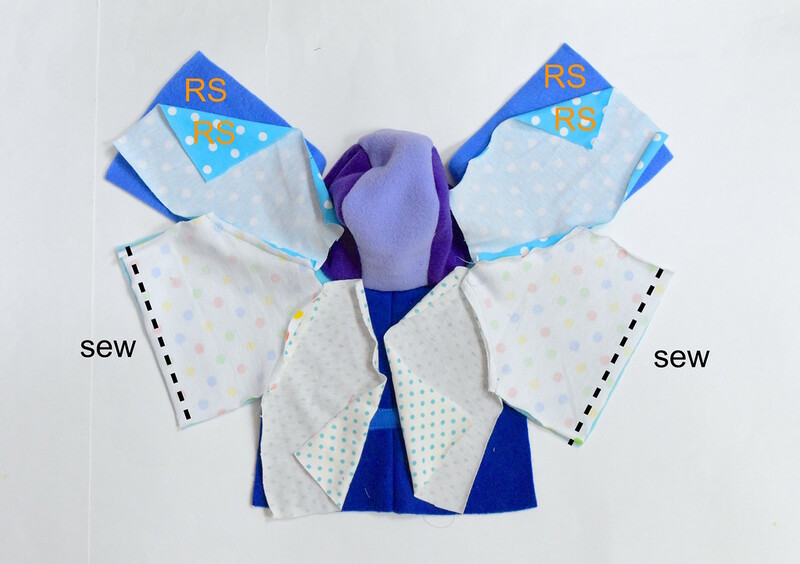 Bring the back lining pieces together so their RS are touching and their long straight edges HJ align. 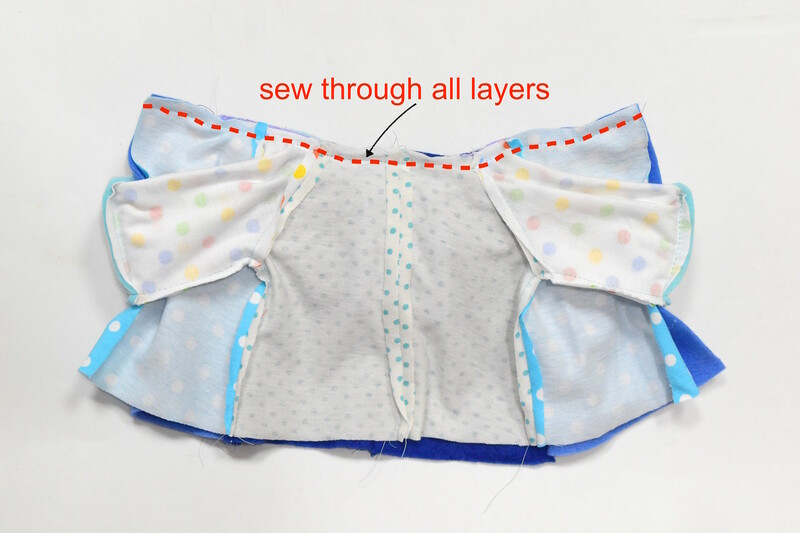 Sew along HJ to make the lining center back seam. From the top view, you can see that the entire garment is a sort of loop. This part takes some maneuvering, so don't rush through the instructions. First, lay the outer coat RS up on your work surface and flatten is as best you can. Push the coat lining out of the way. 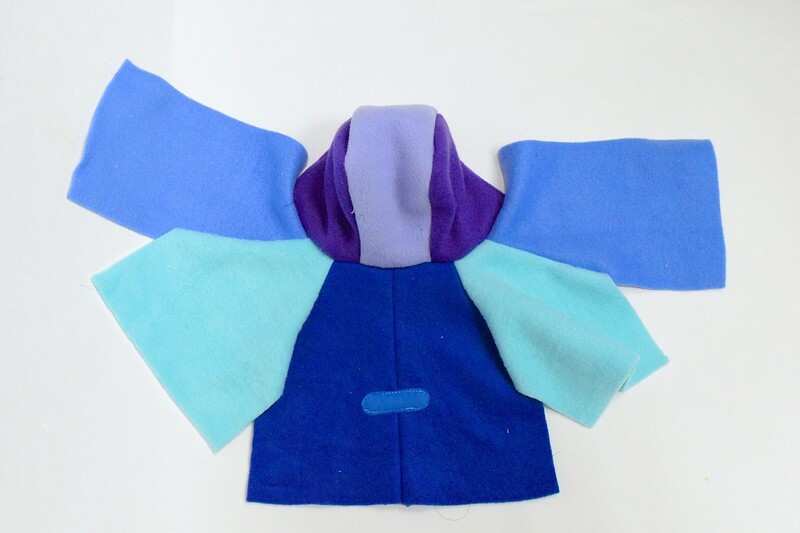 Next, flip the hood upside down again to expose the neck seam you sewed in Step 4. Then lay the lining on the outer coat so their RS are together. 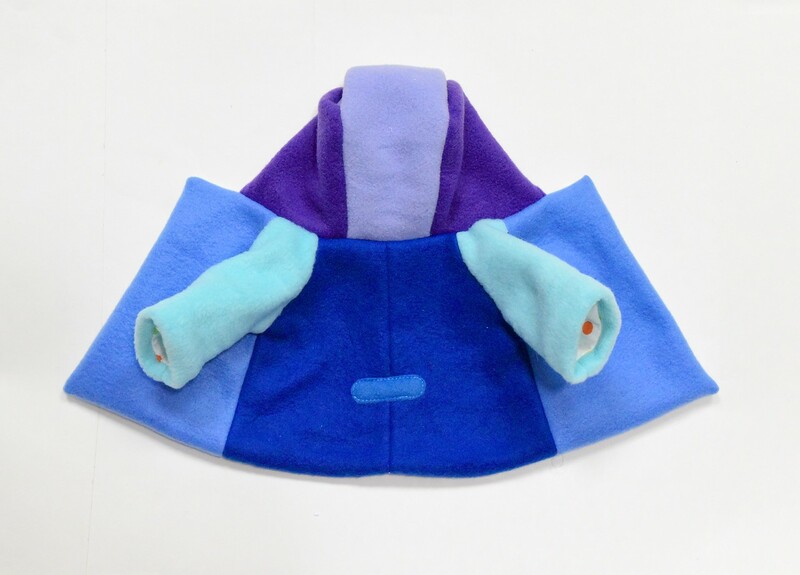 Align their necklines, matching up the midpoints H and the corner points K.
The hood will be sandwiched between the two layers. 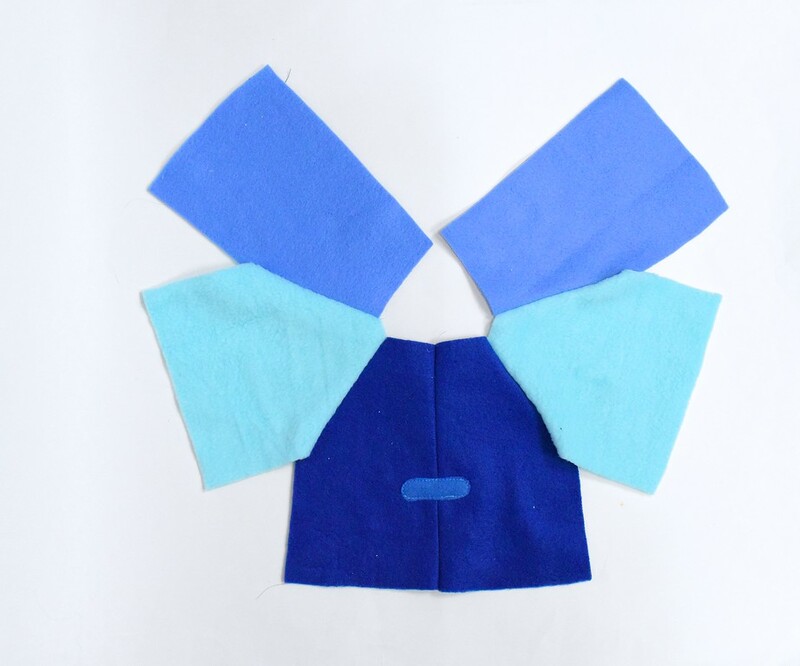 This is how it will look when you've matched up the points and aligned the neckline. 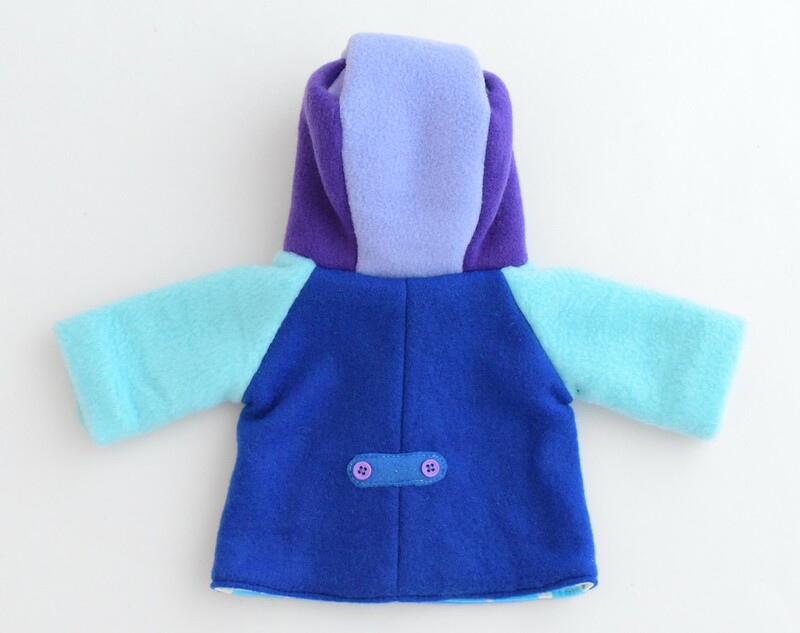 Sew along the neckline KHK through all layers, securing the hood between them in the process. This is the view from the outer coat side. 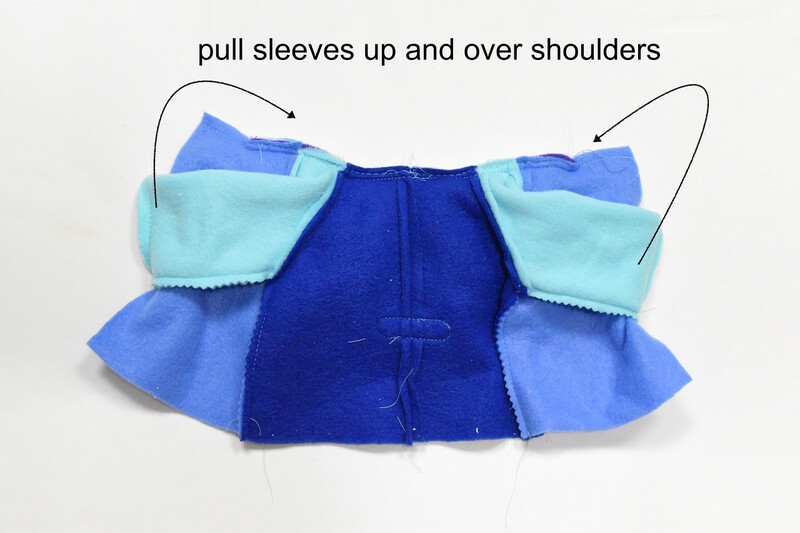 Now we're going to sew the remaining seams, but the sleeves are in the way, so pull them up over the shoulders. 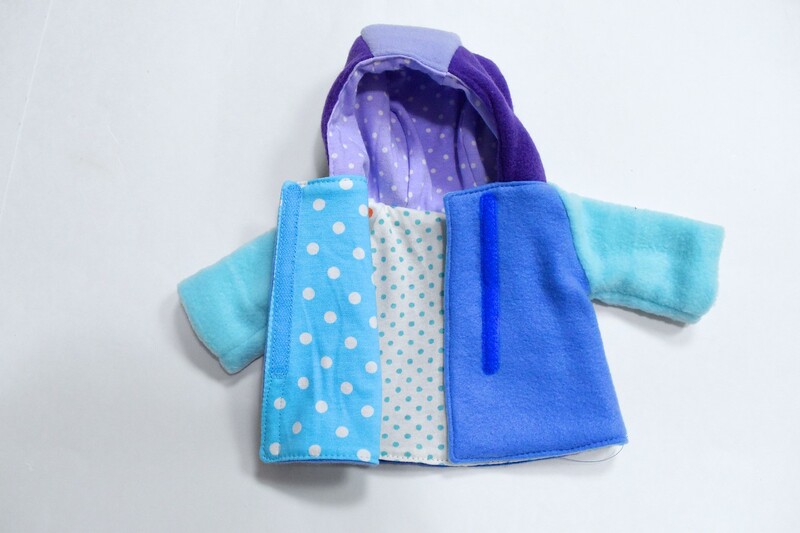 Now that the sleeves are over the shoulders, the front seams and bottom hem of the coat are unobstructed. 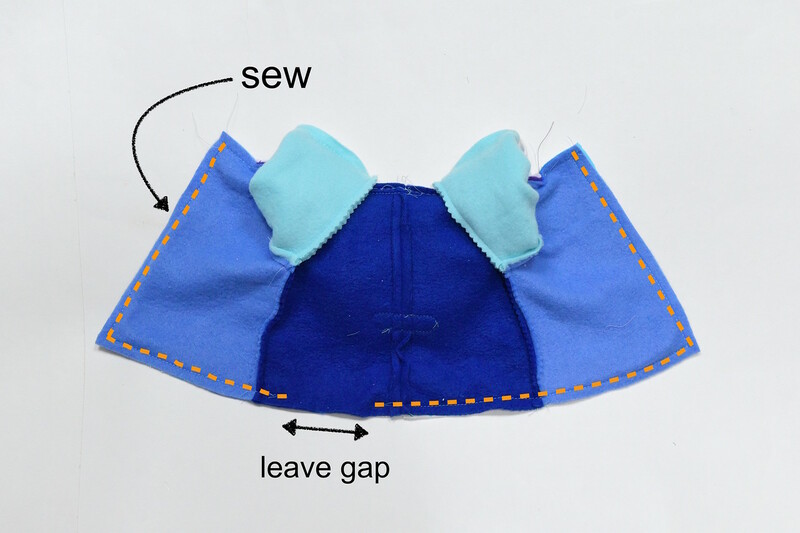 Match up the sides of the outer coat and coat lining and sew from K to L, then from L along the bottom hem to the other corner L, and back up again to the other upper corner K. Leave a gap anywhere along this seam (I like leaving mine in the bottom hem) to turn everything RS out. 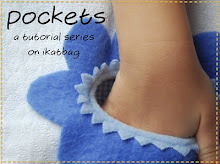 Clip any corner SA where the fabric might be bulky. 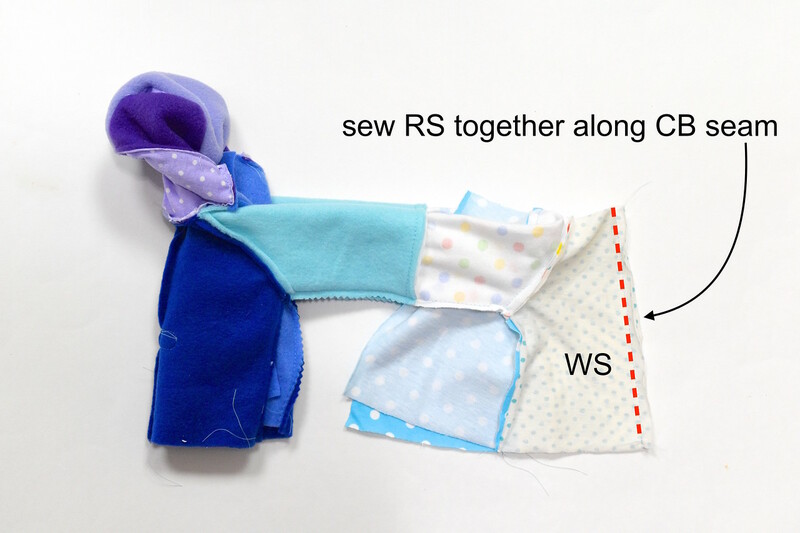 If you are using a woven fabric, snip the SA along the neckline so it will lay flat when turned RS out. Go ahead. You know you can't wait to see if it worked. Yes, it did - rolled cuffs and all! Lining side: no exposed SA. Huzzah! 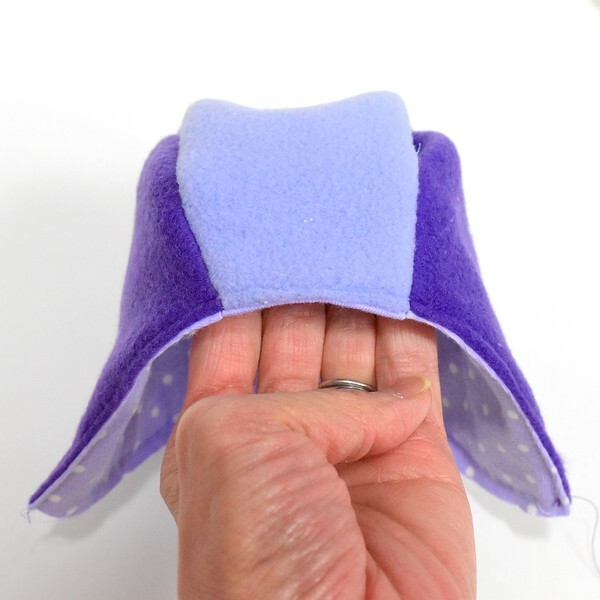 First, hand-stitch that opening shut. 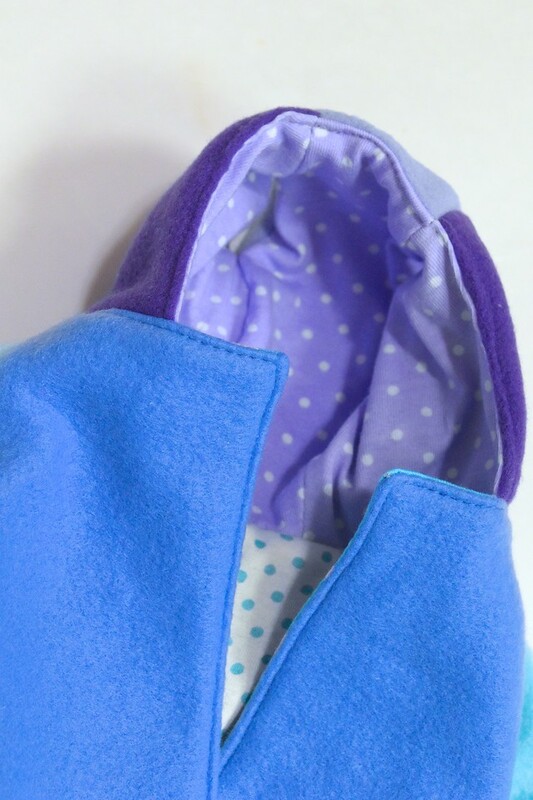 Alternatively, you could edge-stitch around the coat and close the opening in the process. Next, attach your choice of fastening. 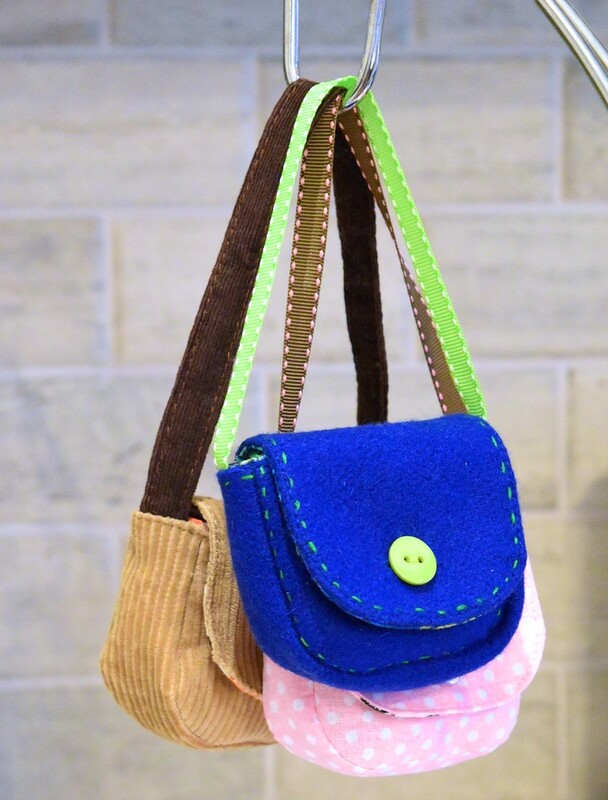 I used hook-and-loop tape, but you could use snaps (press-studs) or buttons with actual button holes, or hooks-and-eyes. 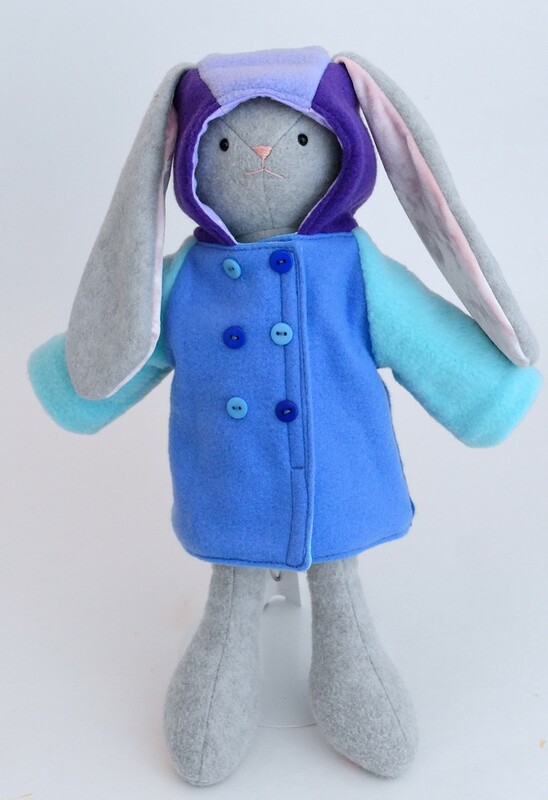 The position of the fastening depends on whether your Bunny is going to wear this coat ears-in or ears-out (which is why I did not include any position markers on the templates). 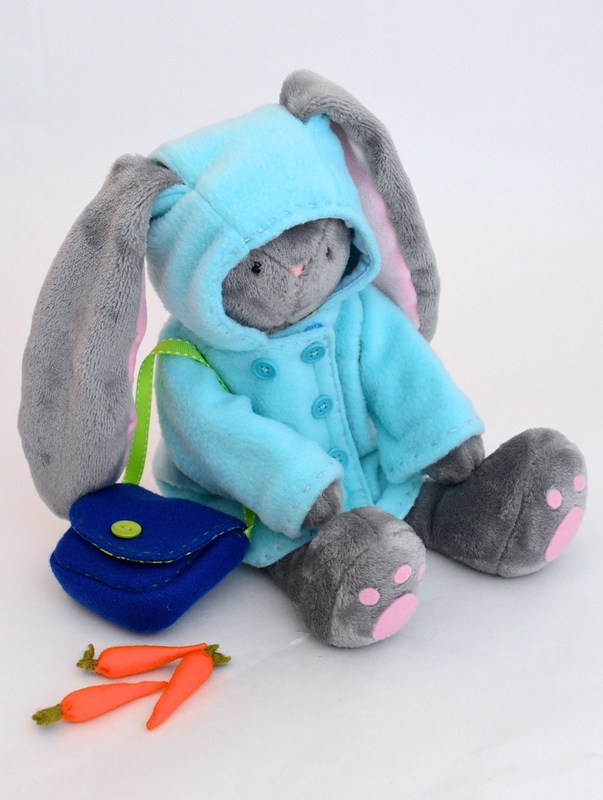 Put the coat on your Bunny to try the fit, and then mark your own positions. and a back kick pleat (you'll have to design this into your template from the start, though). 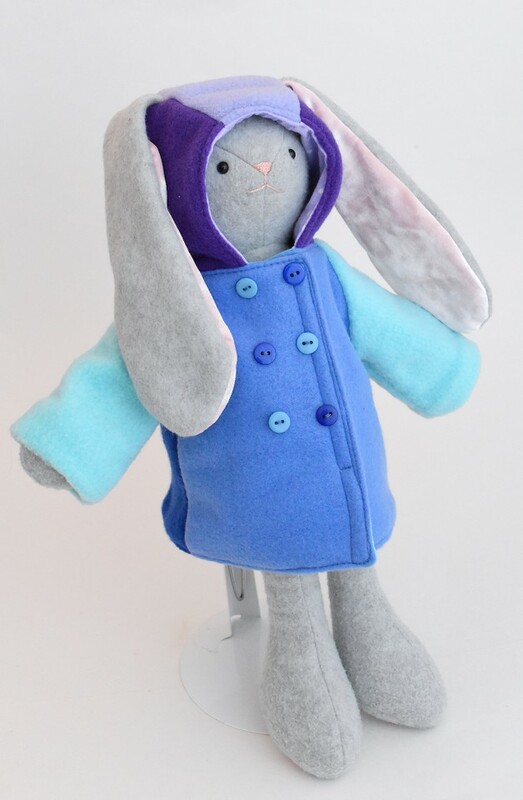 Here is the completed coat! That just blows my mind! You are a wizard with fabric, but I guess we already knew that. I love the way you construct clothing. Absolutely brilliant. 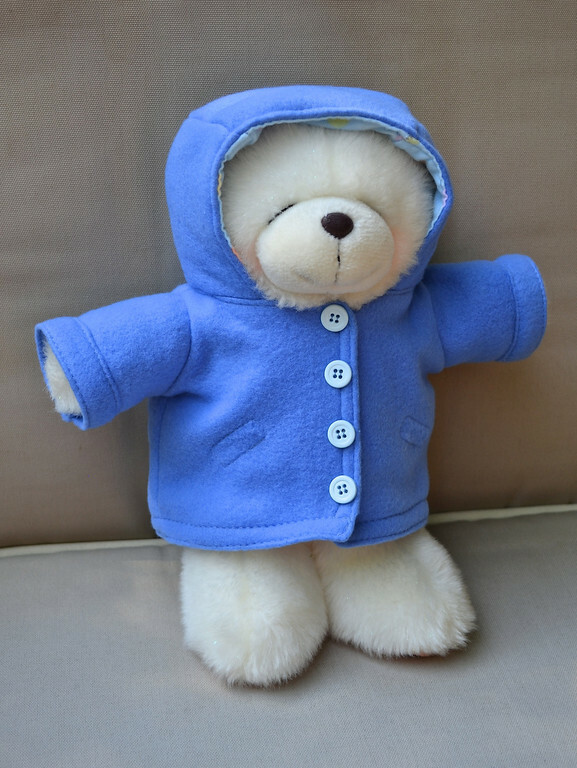 I've made a jacket for my son which led to throwing the jacket across room, lots of tears, and almost reaching for scissors (not seam ripper, mind you). I wish I had seen this before that... this method is so much better! Amazing! Mindy: You're most welcome! I'm so glad you found a technique to apply to real-clothes-sewing. Expanding Bunnydom: tutorials in the works!